You’ve filled in the entry form…now it’s time to get your mindset right. Keep calm and run your first 10K! You’re perfectly capable of running 10K. 10K might sounds like a long way, but it’s only just further than 6 miles. That might still sound far! But with the right training programme and enough time, you will build up the stamina and fitness to run it. 10K is a great race distance – further (and more of an achievement) than 5K, but not as far as a half-marathon. 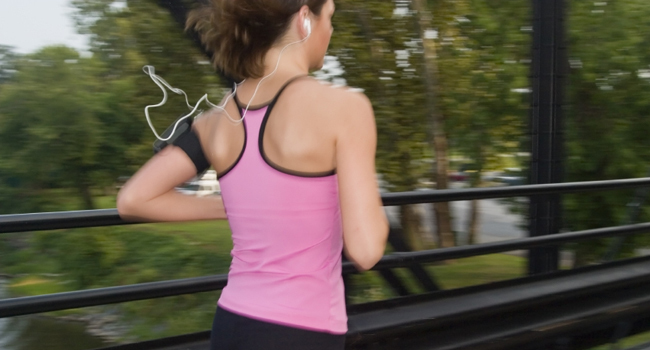 10K will go by quicker than you think, and your body is capable of tackling it. Even if you’re a complete beginner right now, you will be able to train for a 10K race. Take your running fitness to the next level. But whatever level you’re at right now, training for a 10K will do wonders for your running fitness. Tackling a 10K will make you a better, stronger runner. If you want to lose a bit of weight, it will help with that too. Whatever your goal is, achieving a 10K finish will help you get fitter, faster, stronger, and lighter. Don’t let nerves and overthinking take away from the enjoyment of your first 10K. You’re about to do something amazing, so enjoy the journey. Training might be tough at times, but there will be mini goals to celebrate along the way. And race day itself will be an amazing experience: colourful, exciting, fun, and exhilarating. Don’t forget to enjoy the atmosphere, the sights, and the feelings of your first ever 10K race. Whether you train with a partner or not, you will make new running friends when you train for a race. Online groups (our Windsor Women’s 10k Closed Facebook group) can put you in contact with like minded runners, help you find more experienced training partners, or hook you up with other first-timers. And on race day you will meet hundreds of other runners who share your love of running. Finishing matters more than finish time. If the thought of running your first 10K seems daunting, remember that your finish time does not matter. It’s your first 10K, so the time will always be special to you even if you go on to smash it in future races. There’s so much more to celebrate than the time on the finish clock. You’ll have stuck to a training plan, run further than ever before, and got yourself seriously fit in the process. Whether you run the whole way or run/walk, your first 10K finish is to be celebrated. If you’ve got any doubts about training for this 10K, have faith in your body and its abilities. Our bodies are amazing things, which want to move and be healthy. Use a good training programme, get enough rest, and fuel yourself with healthy food. Your body will respond by getting stronger and fitter. Tell your mind to be quiet and let your body do its job. Believe in yourself – you can do this.